Installation commissioned by FACT, Liverpool, for the group exhibition The New Observatory. 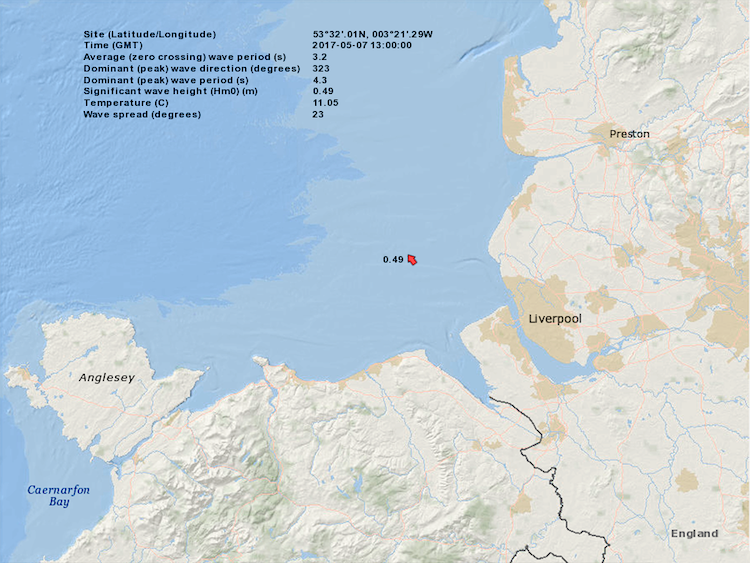 This dual-channel video and audio installation features a lone waverider buoy deployed in Liverpool bay which is used to gather various information about sea-wave height, period and direction. Inspired by the work of painter J.M.W Turner, the piece foregrounds those elements of information-gathering which are lost by numerical and geographical data depictions: the wild forces of the world, and the angst of the instruments that face them. 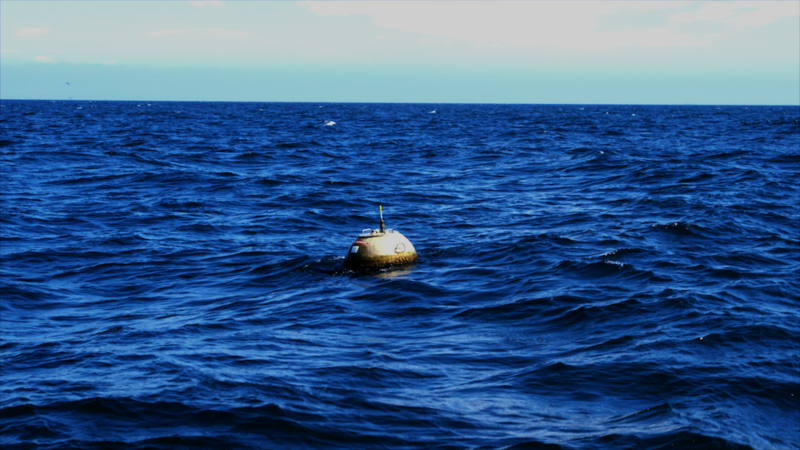 The work comprises a motion-corrected video of the buoy at sea, synthesised sound-waves produced from tracking and stabilising the buoy in the video frame, a motionless online representation of the buoy and its produced data, and a waverider buoy similar to the one filmed in Liverpool bay. Conceptually, there are two interrelated critical perspectives this project articulates. The first concerns the notion of data or, rather, the common sense notion of "data." 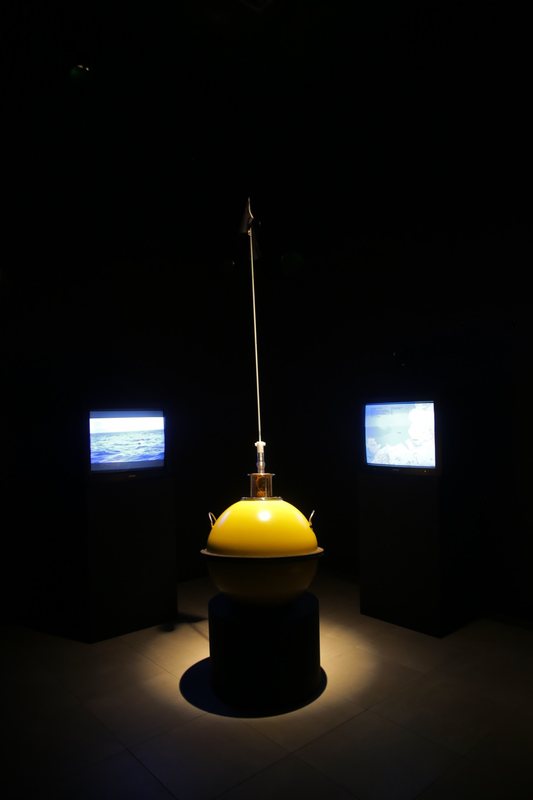 In deliberately focusing on metrological and meteorological instrumentation, such as the waverider buoy, the project asks questions that relate to how is data co-constituted with the word in the first place, as opposed to how it is interpreted “after-the-fact.” The piece puts forth an anti-representation, tracing how a measurement is produced in time and space rather than how it is read or how it represents this or that. That is, how an instrument is materially constituted, deployed and situated within the material weft of the world and how the world physically modulates it (and vice versa). 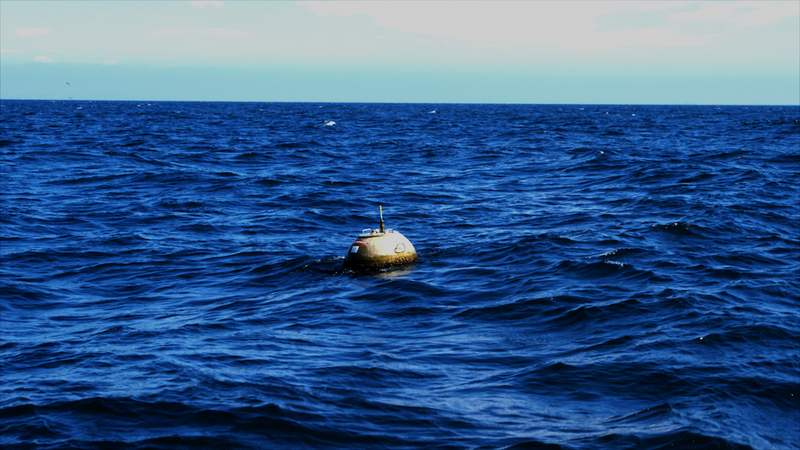 In this sense, the project seeks to exhibit the “operational milieu” of oceanographic instrumentation as a place where matter translates itself from one form to another. I believe that some discussions and projects relating to the notion of “data” work towards foreclosing this innate materiality, and thus the primal dynamics of the triad of instrument, world, and measurements, in focusing on sacrosanct representations and interpretations. The second perspective, related to the previous one, concerns the notion of “observation.” From an etymological standpoint, to observe means to watch, to attend, or look at. It thus implies both a distance and a vantage point where various signals converge, typically the eye of a human observer looking at something from a distance. Historically, the observatory, with its various optical instrumentation, such as the telescope, was precisely a place of convergence from which the cosmos (or the ocean) was observed and deciphered. On the contrary, the contemporary observatory has no singular vantage point. It rather has a reticular structure that spans time and space. 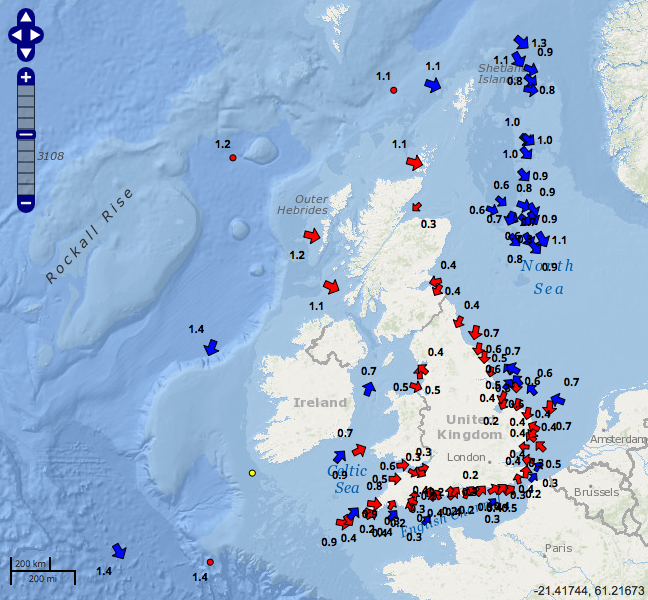 It is composed of a multitude of non-human surrogate observers/instrumentation that sample physical phenomena where these take place, collapsing the aforementioned distance of observation and multiplying points of contacts, so to speak, with actual phenomena (satellites, buoys, probes, etc.). Thus rather than talking of human observation my piece speaks of non-human transduction, that is, the process by which matter is able to write itself and in so doing is able to translate the forces, energies, and intensities it effects and is affected by. 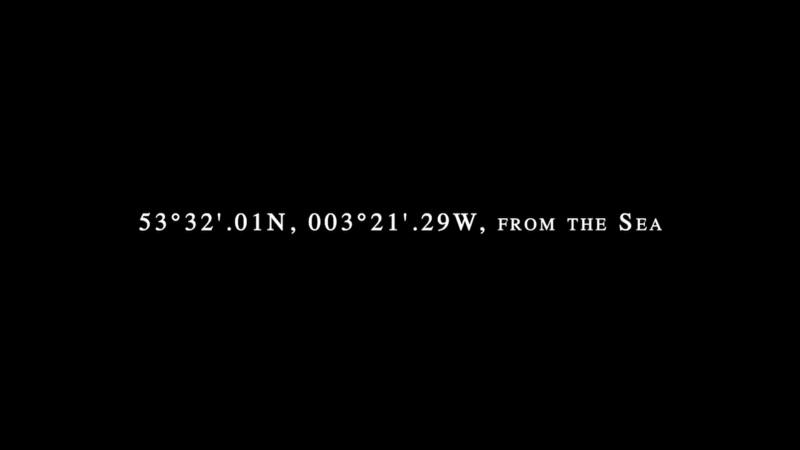 In this way, through the notion of transduction, 53°32'.01N, 003°21'.29W, from the Sea suggests type of worldly sensibility in and for itself that does not have as a sole vantage point the reified figure of the human gaze. 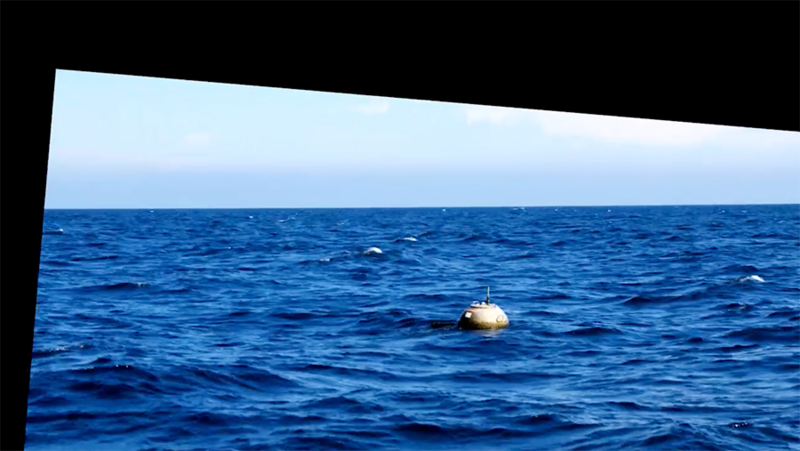 Video with sound (channel 1: 15:35 mins, channel 2: 24 mins); waverider buoy.